Felted wool is an easy and fun fabric to work with. It's easy to cut, easy to sew and you can make just about any pattern using felted wool! 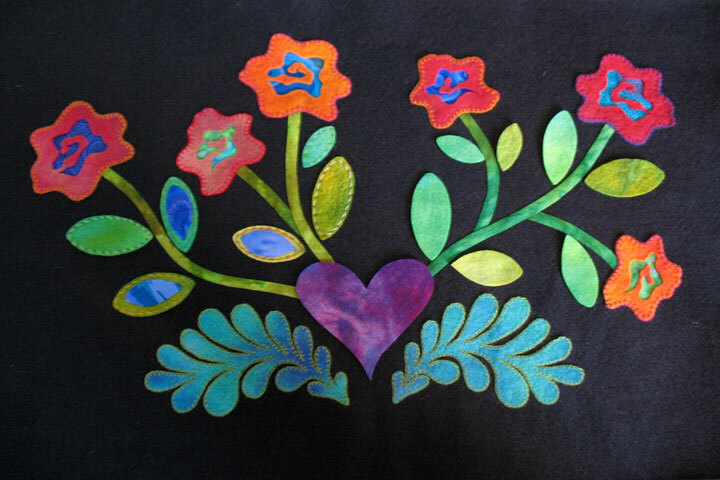 You can applique the felted wool on pillows, table runners, articles of clothing, wall hangings - the possibles are endless. 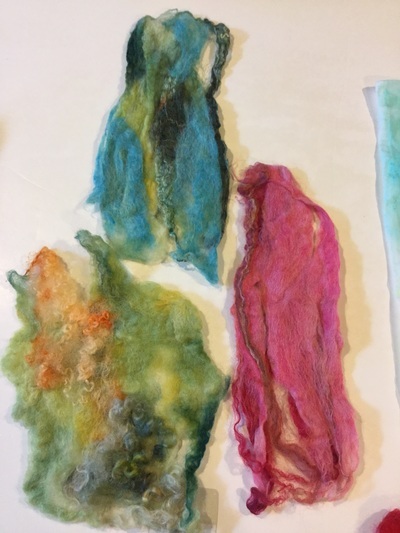 In this workshop you will learn to wet felt fiber into felted wool and then applique your felted wool onto an item of your choice that you bring with you to the workshop. It can be a table runner, handbag, pillow, article of clothing - whatever you would like!